My daughter, Yashaswi 7 years of old has a profound hearing loss for left ear due to damage happened to left cochlea, this has occured after her birth. 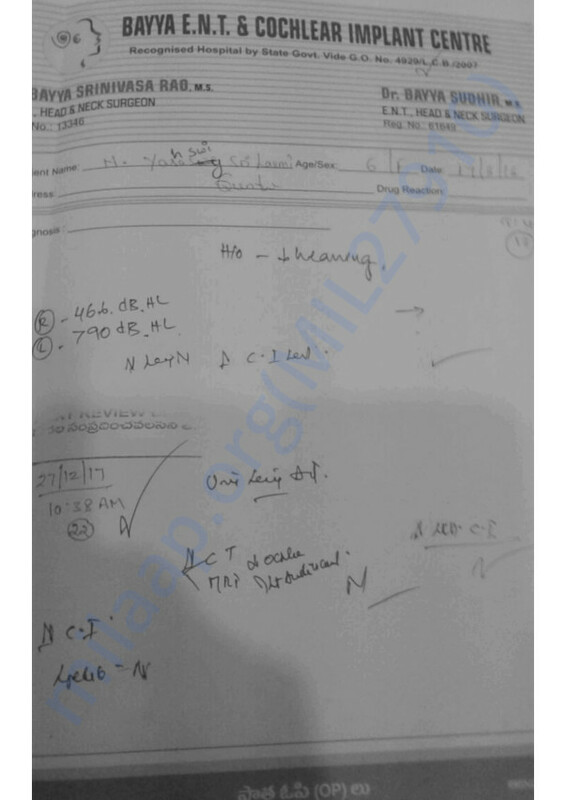 Hearing tests conducted a year back has shown that profound loss in left year and Precipitously falling sensorineural loss in right year. 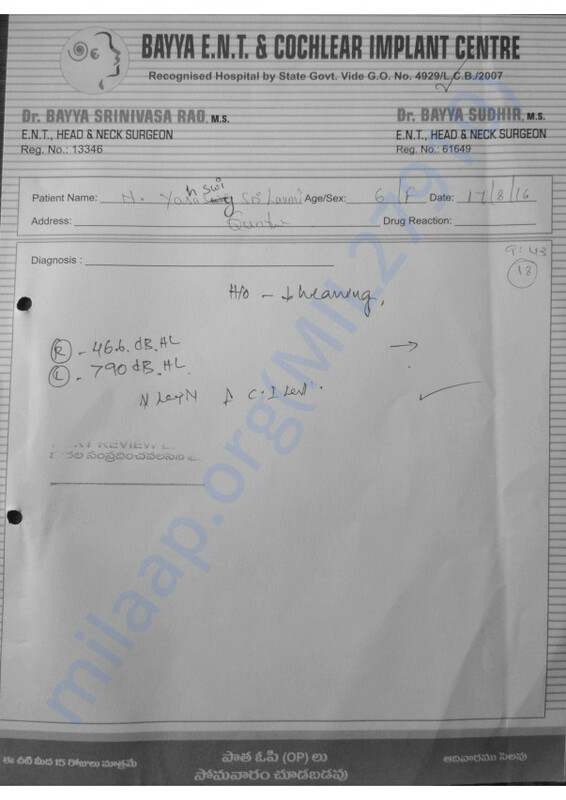 Doctors recommended Cochlear implantation for left year and hearing aid for right year. Since 1.5 years using hearing aids for both the years, which is not helping much to left ear in terms of recognizing sounds. Doctor recommonds to get implant done soon to protect her from hearing loss. 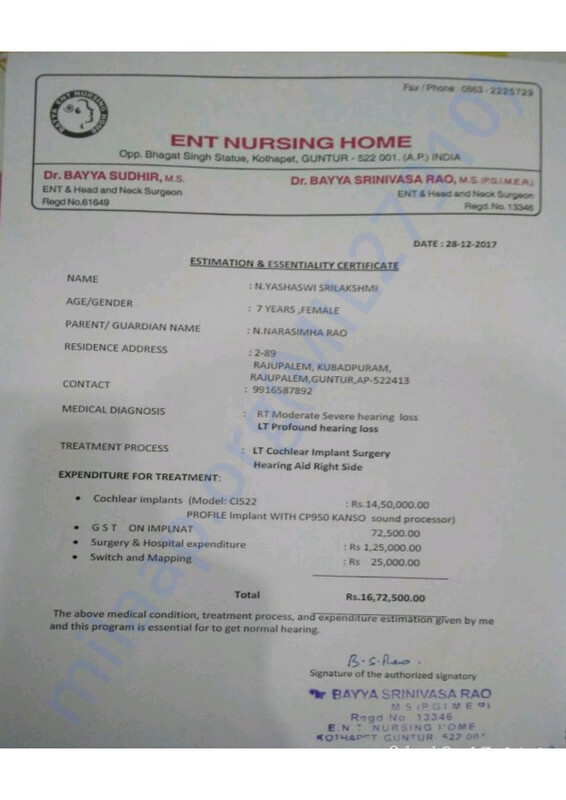 and the cost estimation provided as 17 Lakhs (14.5 Lakhs implant device price and rest all GST, hospital expenses). Currently as a father i am not in a position to bear total expenses. 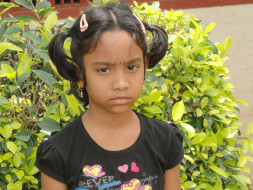 my financial situation is not good I need financial support in getting treatment done. Thank you for your kindness and support. Today is my daughter's surgery. This could happen only because of all your support. Please do pray for her health and speedy recovery. Get well soon.. God bless you.